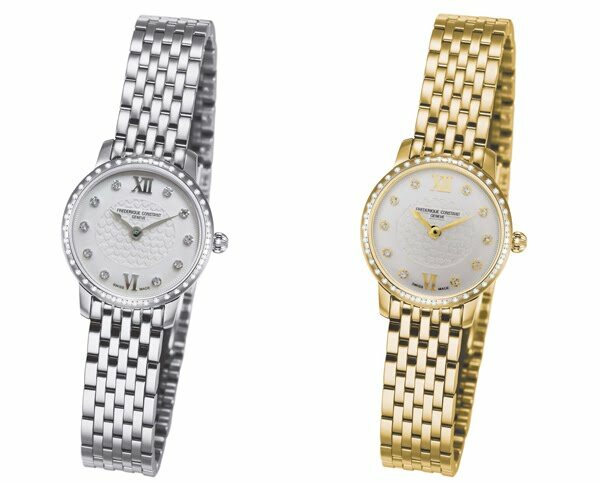 The renowned Frederique Constant Ladies’ Slimline Quartz Collection is a series of glamorous, ultra-flat models designed for our feminine customers. The fine quartz movements upon which this elegant series of watches is based have a thickness of just 1.90 mm. Thin and chic at each and every level; this is the Slimline Collection. 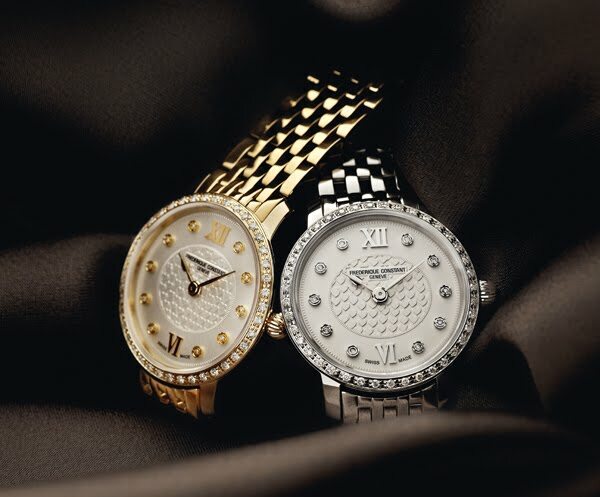 The detailed, eye-catching dials are finished with stunning guilloché patterns, each of which are produced with a highly complex engraving procedure. Precision tools have been developed for each intricate pattern and every delicate dial design; the toolings have tolerances to as little as 1/1000th of a millimeter. Admire the elegance of the Slimline shape, wonder at the timelessness of style and harmony of the curves of each model within the range. The Frederique Constant attention to fine detail brings modern flair to a classic and ageless image that will still look elegant and fresh for generations. 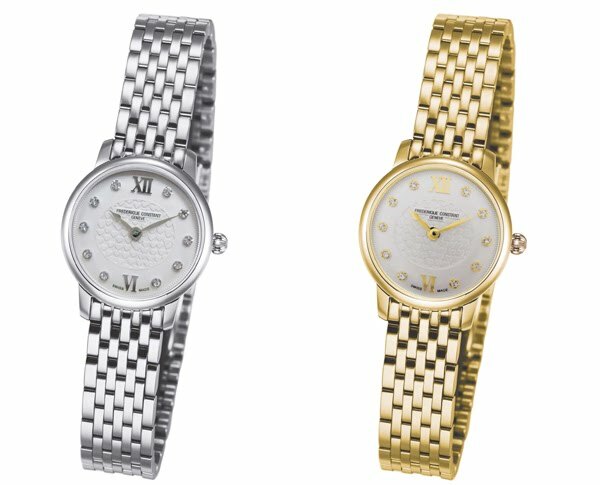 The Slimline range is presented in materials including stunning stainless steel and rich yellow gold plate, the perfect adornment on the most petite wrists. The curved dials, an acknowledgement of the classic watches from the 1950’s, come in either silver or white, with a truly feminine hearts pattern.